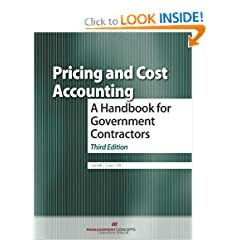 Pricing and Cost Accounting: A Handbook for Government Contractors Third Edition (9781567263251): Darrell J. Oyer: Books. Darrell J. Oyer, CPA, is president of Darrell J. Oyer Co., a consulting firm that provides accounting services and training to governÂ­ment contractors and federal government employees. He is highly experienced in develÂ­oping and reviewing contractor estimating systems, cost accounting structures, and cost control systems to ensure compliance with federal procurement requirements. Prior to forming his own firm in 1991, Mr. Oyer was a partner in the Deloitte & Touche governÂ­ment contracts advisory practice. Previously, he worked for the Defense Contract Audit Agency and the U.S. Air Force Auditor GenÂ­eral s office.